You may know her from her smash hit single, “Hideaway”, Kiesza has managed to make a name for herself globally as the latest new sensation in pop music. Her catchy tunes and vintage sound are nothing like we’ve heard before. She draws inspiration from her own life to write her music, which explains why her album, Sound of a Woman, is doing so well. Kiesza has lived quite the interesting life. She was a ballet dancer, sailor, Miss Universe pageant contestant, sniper, and a Berkeley graduate! Talk about being multi-talented. With her growing success, she recently performed at the 2015 Juno Awards in Hamilton, and was the big winner of the night, grabbing three prestigious awards – Breakthrough Artist of the Year, Dance Recording of the Year, and Video of the Year for her song “Hideaway”. 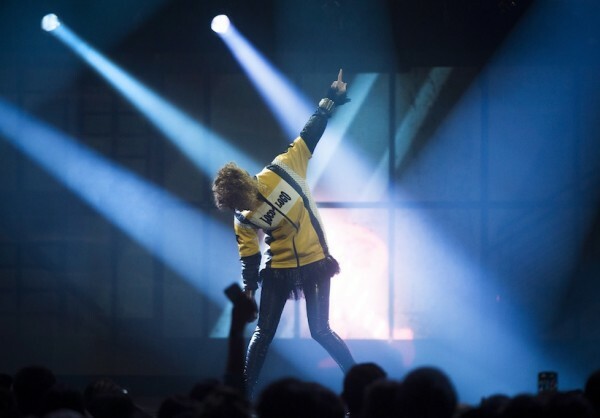 Faze got the chance to chat with Kiesza during her rehearsals for the 2015 Juno Awards about her growing success, her latest album, and other projects. You have had a very interesting life, what drove you to pursue music? It kinda came as an accident. I mean I was already musically driven my whole life. I was in musicals, I played the piano, and I did ballet so I was surrounded by classical music. Then I decided to pick up the guitar when I was a sailor. The day I first picked up the guitar, I wrote a song with the one chord I knew and a whole bunch of people actually liked the song. It really motivated me to write some more and then it sort of just spiralled off of that. One summer I wrote a song everyday of the whole summer. I ended up getting a scholarship and finished my degree at Berkley as well. Did you ever feel like you were lost in the crowd at Berkeley? The one thing I never felt was lost in the crowd. I never really knew where music would take me. I didn’t pick up the guitar and say “I wanna be a superstar”- I just knew that I loved music and I just thought I’d let it drive me. I actually figured I would be more of a songwriter and behind the scenes because I love songwriting. I couldn’t pick a genre. My own personal projects kept changing. I changed from being part of a metal band to a funk band and then a blues band to finally a pop band. It was always changing so I felt like I was too musically schizophrenic for a solo career. But when I did “Hideaway”, I really connected with the song and somehow the sound sounded like the way that I looked, it’s like I could just jump into the music and be exactly who I am and just sing. I really connected with it on that level so I put it out independently and it just exploded. Your smash hit “Hideaway” has over 110 million views on YouTube. Did you ever dream it was going to become such a big hit when you wrote it and made the video? Not at all, I threw a party when it hit 100 000. I was like “Yeah that’s so cool.” Now I can’t even conceive what 100 million even looks like. I used to be like “Oh 50 000 people, it’s the size of a stadium or like Woodstock festival.” But now I can’t even picture the amount of views I’ve got for “Hideaway”, so it’s great! With the success of your first studio album, Sound of a Woman, are you ready to release some more music for your fans soon? Not yet. I’m in the process of letting my brain absorb everything around me and process life. I don’t like to rush things; I like to live in the moment. I draw from real experience when I write music, and I’m touring right now heavily. Once festival season starts where I’m doing more spot shows, I’ll be doing more writing in between that and experimenting because I want to let my instincts drive me where I’m going. In addition to your musical talents, you also have involvement in the fashion world. What can you tell us about your eye-wear line with Fendi and your fashion line, Steampop? Fendi is something I did last year. I thought it was really cool because of the concept of a frame within a frame. I thought it was kind of like outside of the box thinking. I got to work with Karl Lagerfeld who is like the Andy Warhol of fashion so it was just a great opportunity. My own fashion inspiration kind of comes from all over the place. I love putting different things together that don’t necessarily belong together. I love being artistic with fashion. I love cool prints, photography, and different art mediums and just fusing them together. I go through a lot of evolution phases with my fashion. How are you feeling about performing at the Juno Awards this year? Great actually, I’m really excited. Rehearsals have been going really well so I’m excited to perform for everyone!